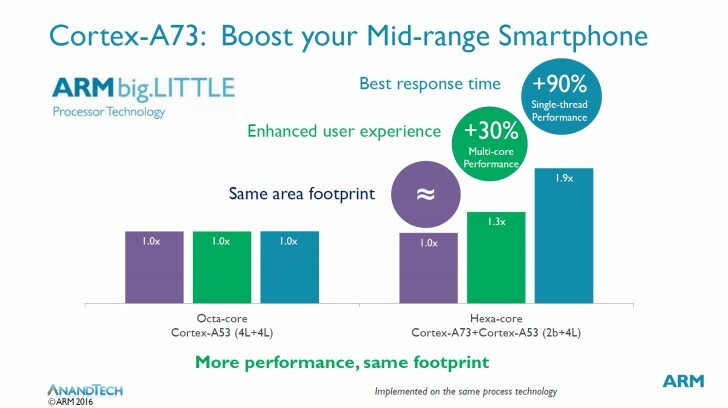 ARM introduced a new CPU design - Cortex-A73 (aka Artemis), a small but important upgrade over the current A72 found in most flagship and upper mid-range smartphones and tablets. Perhaps the key change is size - the new design is physically 25% smaller than the one it replaces. This will allow chipset makers to create hexa-core designs (2x A73 + 4x A53) that are the same size as an octa-core A53 processor. This means you get a huge single-core performance boost at the same cost (the cost of silicon chips is proportional to their size). Basically, ARM sees chipsets like the Snapdragon 650 as the way forward for mid-range devices. The Cortex-A73 has a lot to offer for flagships too. The major change will be sustained performance - while the old CPU can burst high and eventually throttles when it gets hot, the new one will stay at the same level of performance even under prolonged workloads. 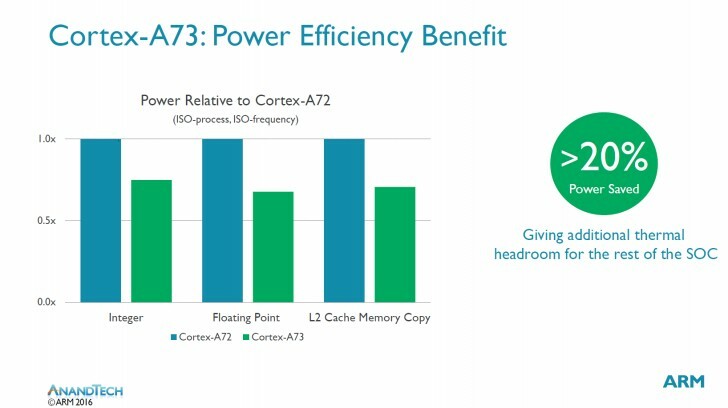 At the same nanometers and clock speed, the A73 will offer a good 20% power savings while going 10% faster than the old CPU. But A73s built on the current process will likely be relegated to mid-rangers. 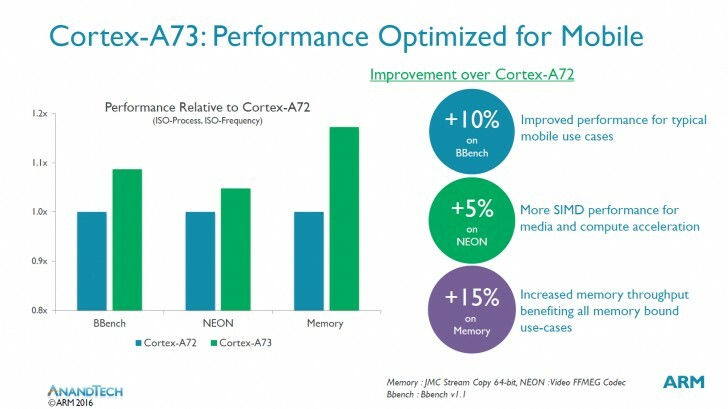 Instead, ARM sees things moving on to 10nm when the A73 will offer a 30% performance boost with 30% power use compared to an A72 built on 16nm. This will allow a Cortex-A73 core to work at 2.8GHz and stay under 750mW of power. You know what's great? Responding to comments, like yours, and demonstrating why arrogance is such a bad thing.